The Bulgarian Parliament’s initiative to amend the Law on Asylum and Refugees (LAR) is to be welcomed as a crucial opportunity to clarify the fundamental rights of refugees and asylum seekers, including those at risk of detention, and to clearly state the obligations of Bulgaria to respect and uphold these rights. Therefore, the International Detention Coalition (IDC) is pleased to be able to contribute to the national legislative process, by setting out two key recommendations on the draft LAR which was passed at first reading by the Bulgarian Parliament, in particular relation to detention and alternatives to detention for persons seeking international protection (see IDC open letter to Bulgarian MPs on draft amendments to Law on Asylum and Refugees in English and Bulgarian). At the outset it should be noted that international refugee law, human rights law and European law clearly provide that the detention of asylum-seekers should only be a measure of last resort, after alternatives to detention (ATD) have first been pursued. As seeking asylum is not an unlawful act, any restrictions on liberty imposed on persons exercising this right need to be provided for in law, carefully circumscribed, and subject to minimum procedural safeguards including speedy judicial review. Children should never be detained because of their or their parent’s migration status and child-sensitive alternatives should instead be implemented. The current draft of the LAR includes notable improvements in comparison to an earlier draft bill adopted by the Bulgarian government in 2013. However, further amendments are required in order to bring it in line with international human rights standards relating to the detention of asylum-seekers, in particular in two key areas. 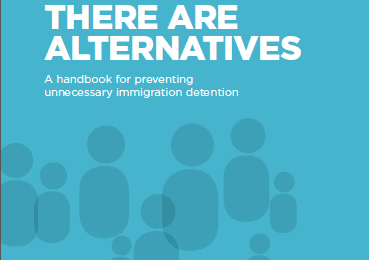 Explicitly prohibit the immigration detention of children seeking international protection and provide them with tailored alternatives to detention, ensuring that they are in line with international standards. Ensure that judicial review of the lawfulness of detention takes place within 24-48 hours of the initial decision to detain and every 7 days thereafter, as recommended by UNHCR. 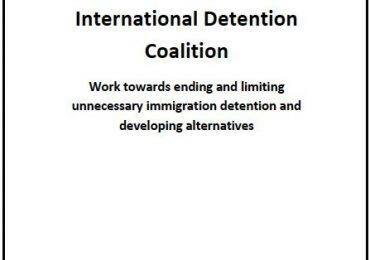 The International Detention Coalition urges the Bulgarian Parliament to take this opportunity to ensure that the LAR is in line with international standards on the fundamental rights and protection of refugees and asylum-seekers, including those at risk of immigration detention. It remains ready to assist Bulgarian parliamentarians and authorities in this regard. Recommendations submitted by a coalition of NGOs to members of parliament in April 2015.